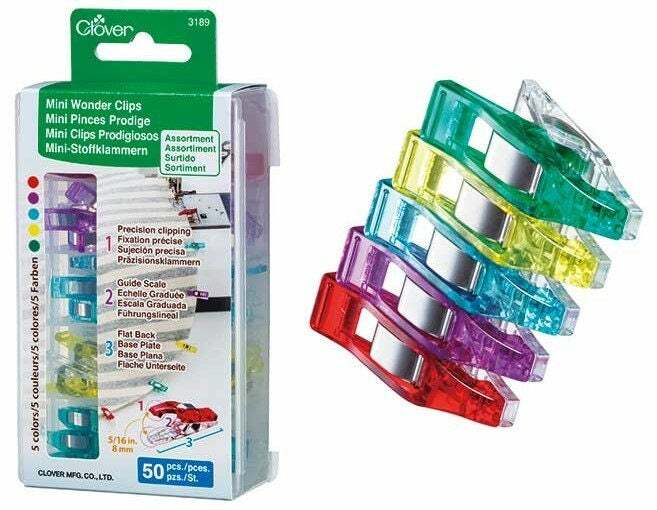 Clover-Mini Wonder Clips: Assorted Colors. 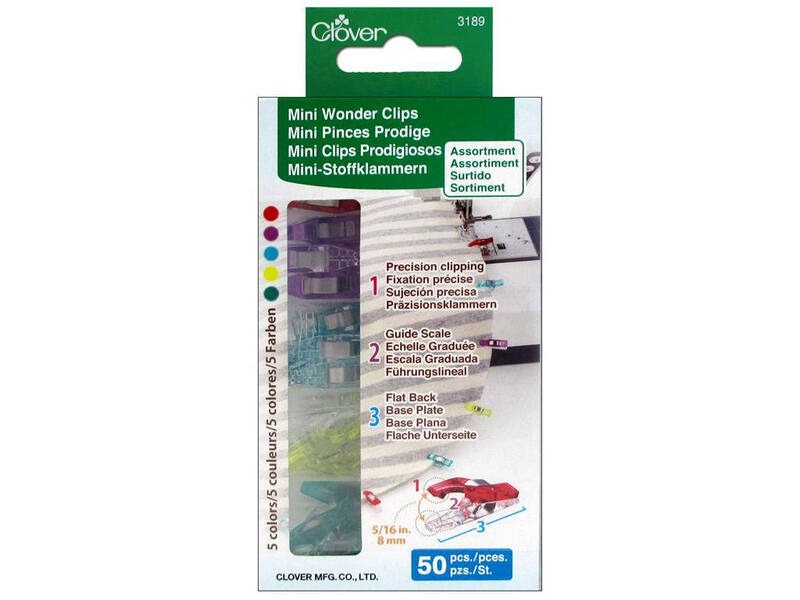 The Wonder Clips are a great alternative to pins, especially when working with heavyweight fabrics, piles and vinyls. It can hold layered sections of sewing projects such as handle connectors to handbags and piping without distortion. 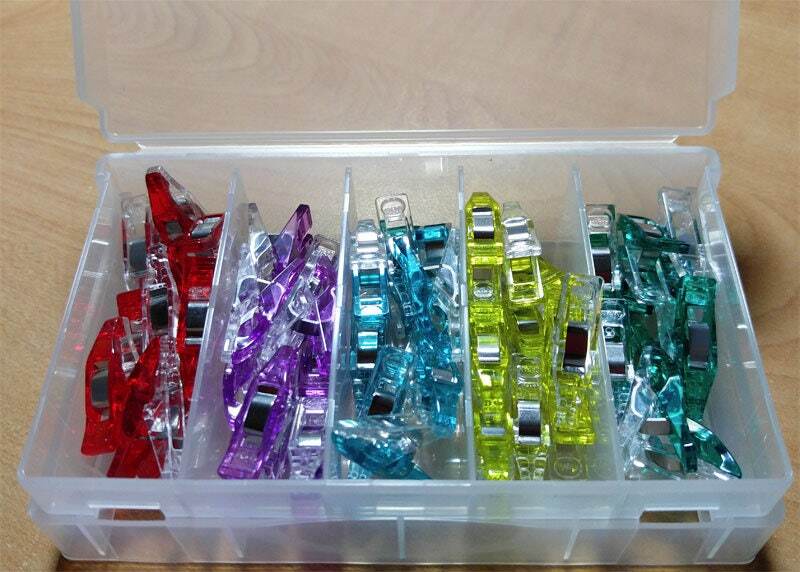 This package contains fifty 8mm mini wonder clips in five colors (ten of each color) within one 1x5x3 inch storage box. Imported. Precision clipping for a variety of projects.